If you’ve been following my blogs for any length of time, you’ll probably have noticed that I not only love history, I happily visit it—traveling to places that combine historic buildings with costumed interpreters who demonstrate what life was like in the past. 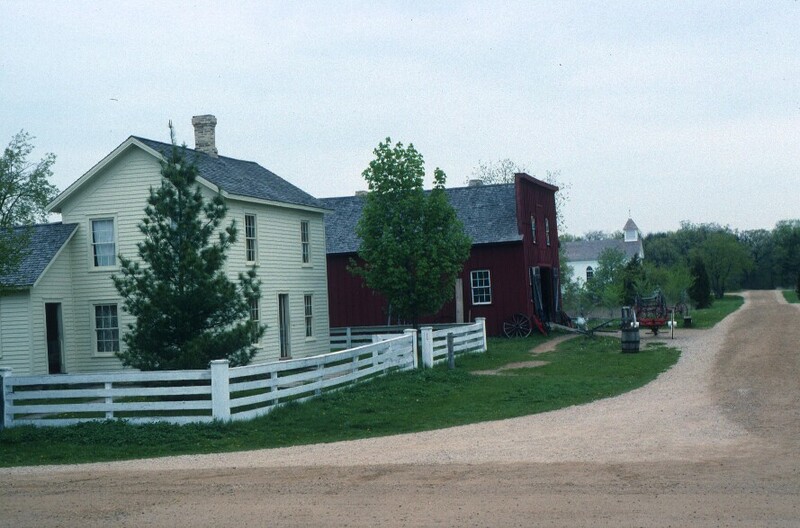 I’ve posted on Michigan’s amazing Greenfield Village on my The World’s Fare blog, about Sovereign Hill on my Waltzing Australia blog, and on this blog, I’ve offered multiple posts on both Iowa’s Living History Farms and Chicagoland’s Kline Creek Farm. Now it’s time to look north, to delightful Old World Wisconsin (OWW). 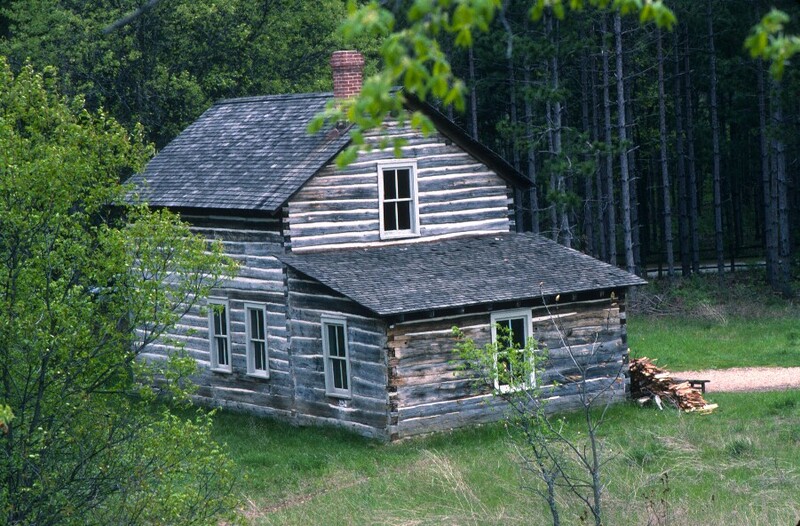 Like most of the Midwest, Wisconsin’s history stretches back into the days of voyageurs, fur trappers, and explorers, but with serious settlement starting in the early 1800s, after the United States had come into existence. Wisconsin was heavily enough settled by 1848 to obtain statehood. As with most of the Midwest, settlers came in waves, first from New England and then from overseas, especially Germany and Scandinavia. This varied settlement was reflected in everything from the cuisine to the architecture. As the state grew, rather than destroying log cabins or leveling antique towns, researchers began documenting the old buildings—and then bringing them here. 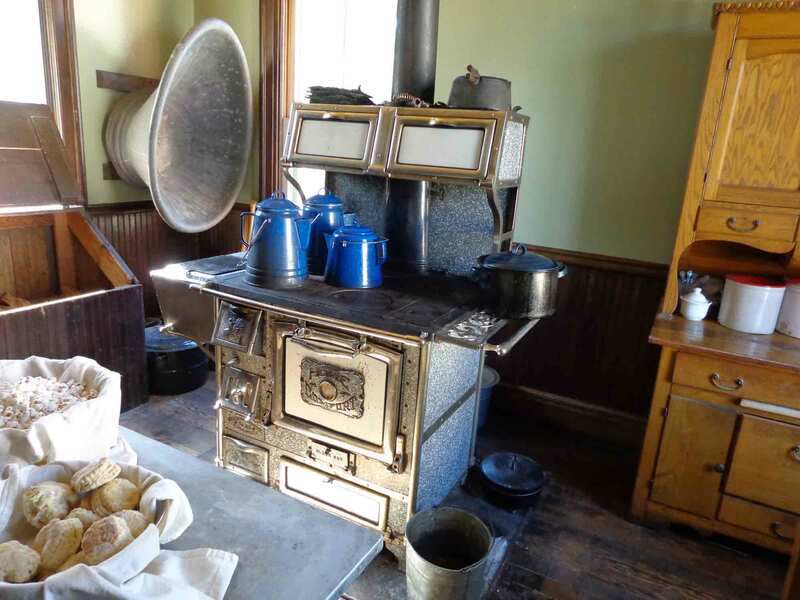 So when you go to Old World Wisconsin, you don’t learn a general history of what a typical Dane or Yankee might have been like; they can tell you exactly who owned the home, where they were from, and what their lives were like. 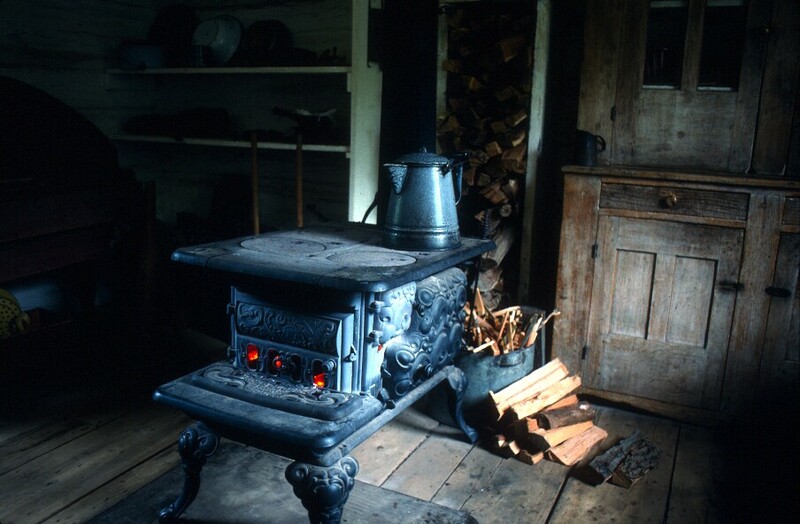 Iron Stoves cooked food and heated homes. In some cases, the original furnishings have been preserved. As would have been the case with early settlement, so too at OWW, buildings are clustered by nationality of original owners. You can visit settlements of Poles, Germans, Finns, Danes, Norwegians, and Yankees (New Englanders). 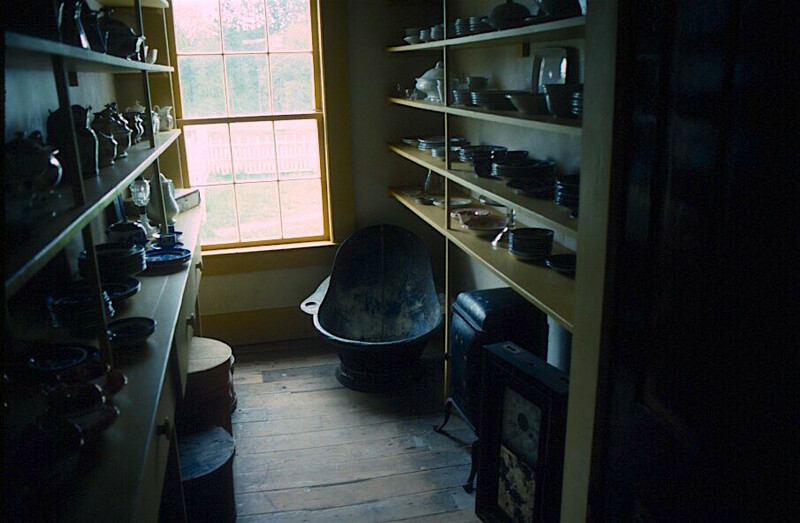 Even the bathtub (back right corner) was kept in the kitchen pantry, as water would be heated on the stove. In addition, there are fields and farms where you can watch traditional types of farming or see early breeds of livestock. 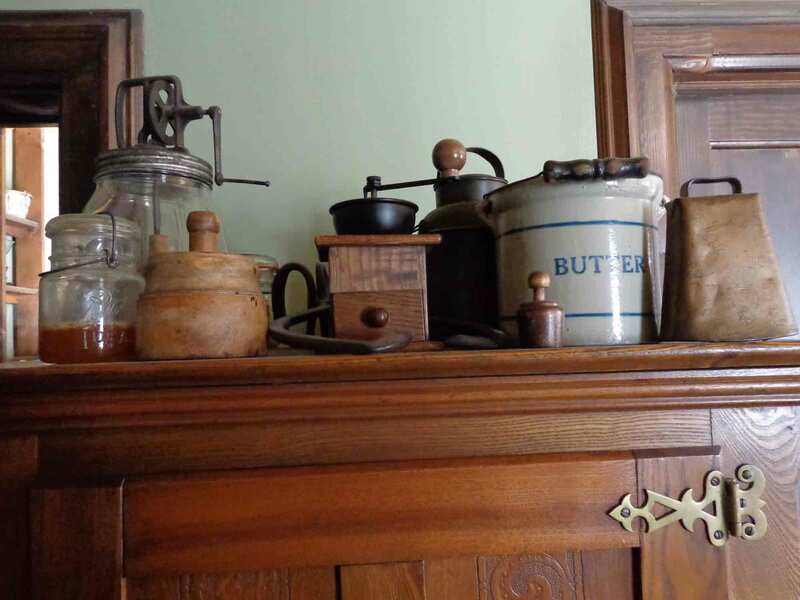 Aside from farming, exhibitions range from early forms of baseball to classes in a one-room schoolhouse, from cooking to a working blacksmith shop, and much more. New England’s influence is seen in the 1880s village. The red building is the blacksmith shop.